The Big Idea: The more you know about the effects of traumatic experiences, the more of a difference you can make in kids’ lives. These resources are here to help you offer hope and healing to kids and families. For decades, Sesame Street has used the power of the Muppets to help kids and families cope with tough topics. We now know that one in four children endure more than one traumatic experience, so with guidance from expert advisers, we’ve developed these resources to support you in your work with kids and families. As a member of children’s circle of care, you hold tremendous power. You are an anchor in kids’ and families’ circle of care, and you can be a game-changer. We’re all in this together, and we can’t do it alone. Here are materials and resources that can help. Traumatic experiences are events or circumstances that that threaten one’s life, mental health, or physical integrity. Trauma is the physical and emotional response to such events. Research shows that high doses of adversity, especially in early childhood, can impact brain development and therefore have serious, lifelong effects on kids’ health, well-being and sense of self. Taken together, these effects (among them depression, substance abuse, heart disease, and overall shorter life expectancy) pose the greatest public health risk of our time. •	They impact their ability to learn, creating obstacles to growing smarter. •	They affect their mental and physical health, so they are less likely to grow up stronger. •	They change the way they interact with the world, making it harder to be kinder. 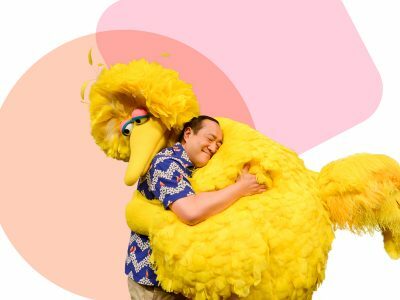 Many of the coping and resilience-building strategies within this topic are presented by Big Bird and the Sesame Street friends whom kids already know and love. “Essentials for Childhood: Steps to Create Safe, Stable, Nurturing Relationships and Environments.” Centers for Disease Control. August 2014. https://www.cdc.gov/violenceprevention/pdf/essentials_for_childhood_framework.pdf.